Faculty of Law is one of the six organisational units of the first private university in Montenegro – University Mediteran in Podgorica. The University has relevant official accreditation and license. It provides academics degrees in many areas, including law. In line with the Bologna procedure, since 2007 University has been continually working on improving the quality of its work in the following areas: lecturing, students’ programmes, appraisal system based on the European system for accumulation and transfer (ECTS), literature, IT systems, scientific and research activities, etc. The Law faculty has an opportunity to provide two programmes – ‘Economy and Law’, as well as ‘Law and Justice’. From 2009-2010 the Faculty also offers ‘Law and Policy’ postgraduate programme. 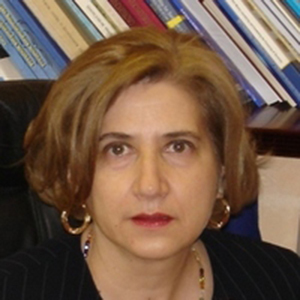 Prof. Dr. Vesna Ratković is professor of Criminal Law with 33 years of progressive experience in justice, human rights, public administration and penitentiary system in Montenegro. Ratković had been the Head of Delegation of Montenegro in GRECO (8 years), Head of Delegation UNCAC IRG (8 years), contact person for OECD in Montenegro, Chair person for RAI, member of the national Commission for implementation of the Strategy and AP for the fight against corruption and organised crime, member of National WG on the Universal Periodic Review (UPR), Human Rights Council, UN, etc. She lectures at Human Resources Management Agency of Montenegro, Centre for Education of Judges and Prosecutors, Police Academy and Regional School for Public Administration. She is author of numerous papers on criminal law, human rights, (anti)corruption and integrity in public administration.